Seeing it’s Friday – why not embark on a delicious weekend trip to Europe. 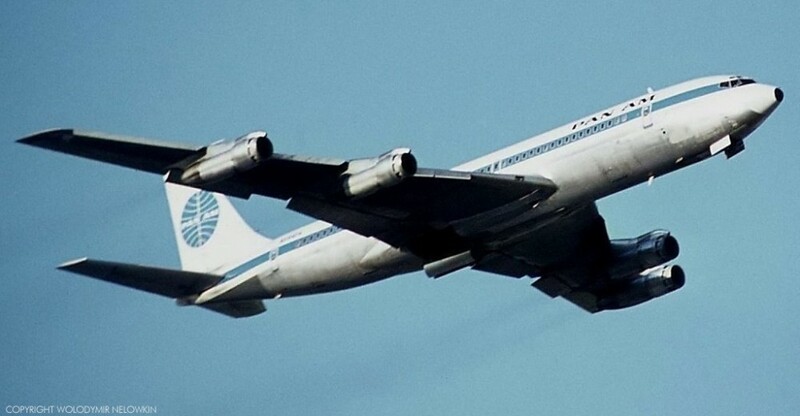 Our friends at Pan Am will take us on a 6½ hours long transatlantic flight from New York to London on their new Boeing 707 – the biggest jet plane of the late 1950s – holding up to 150 passengers. With a wingspan that is longer than the entire distance of the first Wright brothers flight we will travel faster and higher than ever before all in the comfort of the air conditioned cabin were we will of course also enjoy fine cooking and the friendly service of the lovely stewardesses. I wonder if the mile high club have been invented yet? Footage from the Prelinger Archives taken in 1958.